Basil leaf CO2 extract from Egypt. If you like cooking with basil, you will love this basil oil. Limited supply. Available in one ounce and 5ml bottles only. 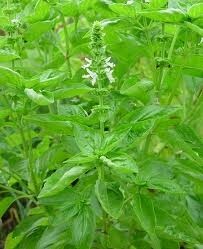 Species: Ocimum basilicum L. Variety: Mediterranean. Family: Lamiaceae. Class: Phenolic ester. CAS: 84775-71-3. Limited quantity of this desirable basil -- get it while you can. Article: Health Benefits of Basil Essential Oil.